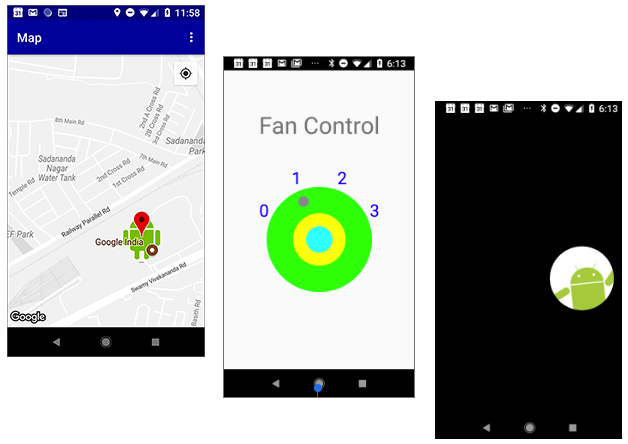 Home » Android » Android codelab courses are here! Android codelab courses are here! 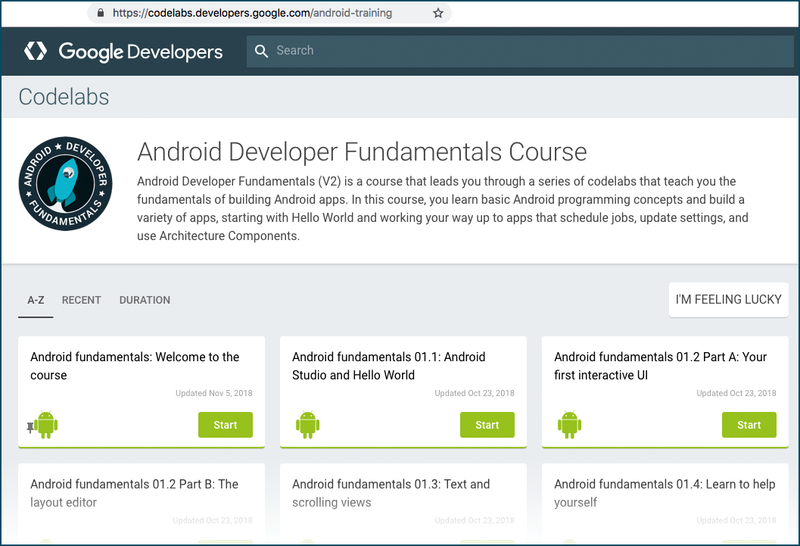 The Google Developers Training team recently published an updated version of our Android Developer Fundamentals course as a series of Google codelabs. Codelabs made their debut as onsite tutorials at Google I/O in 2015, and have skyrocketed in popularity as a way for developers to learn how to use Google technologies, APIs, and SDKs. A codelab is a short, self-contained tutorial that walks you through how to do a specific task. More than 2 million users have worked through Google codelabs this year. Our Android courses were originally intended as classroom-based courses. However, we found that many people work through the courses on their own, outside of formal teaching programs. So, when we updated the Android Developer Fundamentals course, in addition to supporting classroom-based learning, we made the material available as a sequential series of codelabs. The updated Android Developer Fundamentals (V2) course includes lessons on using the Room database and other Architecture Components. All the apps have been updated to reflect that the Empty Activity template in Android Studio uses ConstraintLayout, and we’ve updated all apps to a later version of Android Studio. For more details on the differences, see the release notes. We’ve also re-published the Advanced Android Developer course as a series of codelabs. This course provides step-by-step instructions for learning about more advanced topics, and adding features to your app to improve user engagement and delight. Learn how to add maps to your apps, create custom views, use SurfaceView to draw directly to the screen, and much more. If you want to teach either course in the classroom, or use it as the basis of a study jam, the complete package is still available, including slide decks, source code in GitHub, and concept guides, in addition to the step-by-step codelabs. What are Coroutines in Kotlin?